Kortney and Dave flip a duplex into a large gorgeous Victorian style home. While Dave focuses on making sure their plans are approved by the Historical Commission, Kortney debates her design plan on this massive, fully gutted house. 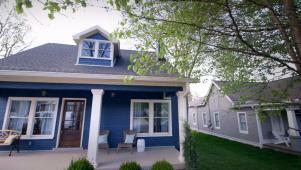 Dave and Kortney convert a duplex into a single-family home.